A group of naked men hoist an ancient marble statue from its pedestal. A king, clad in animal-skins and wearing a horned helmet, surveys the destruction of Rome's architectural heritage from a distance. The striking cover image of the volume under review is an adaptation of Joseph-Noël Sylvestre's, Le sac de Rome (1890). The neo-classicist painting summarizes the ways in which the sack of Rome in the year 410 was understood in the late nineteenth century. The decadent centre of classical culture was being ransacked by a savage war-band. Such views of the events of 410 are firmly out of fashion today. But what happened in reality during those three late summer days when an army under the leadership of the Gothic king Alaric entered the city of Rome? 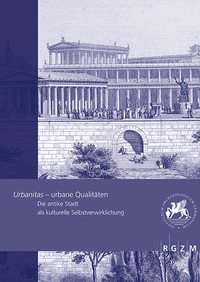 This question is explored in this remarkable collection of essays, the proceedings of a conference organized by the German Archaeological Institute in Rome on the occasion of the 1600-year anniversary of the event. Consisting of thirty chapters which extend over more than 450 double-columned pages, the volume offers a new and innovative perspective on the historical significance of the events of 410. Reasonably priced and sumptuously illustrated, it deserves a place in the library of any scholar interested in the history of the Roman Empire in the fifth century. The main part of the book consists of a series of papers which look at the archaeological evidence for the sack. There always seemed to be at least one unambiguous proof that the effects of Alaric's conquest were disruptive: the collapsed roof of the Basilica Aemilia in the Forum. The fire which caused the collapse is dated by melted coins to the early fifth century. The portico which surrounded the basilica was constructed (or so it seemed from an inscription discovered in the detritus) in the years 418 to 420, presumably in order to hide the sorry state of the main building. In an outstanding paper, Johannes Lipps challenges this traditional reconstruction. He makes a strong case that the inscription was transferred to this area in the Middle Ages and that the portico should be dated not to the period after the sack, but to the early fourth century. Of course, it remains possible that the destruction of the Basilica Aemilia was caused by the sack of 410. But since the fire which destroyed the building may have happened at any point in the first decade of the fifth century, the melted coins in the roof can no longer serve as a smoking gun which provides incontrovertible evidence of the actions of Alaric's soldiers. Nor do other areas of the city contain clear traces of the sack. The only place where it might be possible to make out an immediate effect of 410 is an unfinished house in Trastevere; in an interesting paper, Stefania Fogagnolo suggests that the construction works were interrupted by the flight of senatorial owners to safer regions of the empire. But if this is right explanation for the idiosyncratic architecture of the house, this was an unusual response to the events. Elsewhere, the conquest did not leave an archaeological trail. In the Forum of Caesar (Antonella Corsaro et al. ), in the Campus Martius and in Trastevere (Fedora Filippi), in the Caelian Hill (Carlo Pavolini), in the Aventine Hill (Paola Quaranta et al.) and in Ostia (Axel Gehring), the decisive change in settlement patterns only happened in the later fifth century. The new urban image which came into being in these years was the product not of foreign conquest, but of longer-term environmental, religious and cultural transformations, such as floodings (in the regions around the Tiber), the consolidation of ecclesiastical power (in the Celio) and the emergence of a new urban aesthetic based on the re-use of ancient buildings (in Ostia). This picture is confirmed by a series of papers which discuss not specific sites but different types of evidence. In an excellent chapter on pottery, Clementina Panella shows that even in the wake of the sack the Roman economy continued to be deeply integrated into Mediterranean supply networks. François Baratte surveys Late Roman silver; he problematises any straightforward links between the interment of the Esquiline Treasure and the sack. Also Alessia Rovelli's paper on the numismatic evidence highlights the limited impact of Alaric's conquest; only two coin-hoards can plausibly be dated to 410. Nor did the sack cause many inhabitants to leave the city. As Elio Lo Cascio observes, if from the fourth to the sixth centuries Rome's urban population drastically declined, this was largely the product not of the first fall of Rome, but of the crises of the later fifth century. Why are there so few archaeological traces of the events of 410? Three papers make interesting suggestions. Philipp von Rummel rightly points out that the discipline of archaeology is better suited to uncover longer-term structural change than the short-term effect of a specific event. Riccardo Santangeli Valenzani makes a complementary proposal. The fact that the sack is largely invisible in the archaeological evidence may attest to the effective functioning of the imperial state in the early fifth century - a still well-funded imperial administration was able to quickly restore any damages to the Roman urban fabric. A third explanatory framework is outlined by Franz Alto Bauer. He points out that each culture has its own conceptions of destruction. Not everything we see as signs of decay would be interpreted in the same way by Late Roman observers. Conversely, what modern archaeologists see as impressive evidence for continuity would sometimes be perceived quite differently by contemporaries. For example, in the eyes of late-antique observers, the theft of liturgical instruments was tantamount to a demolition of a church, even if the physical fabric of the building was preserved. On this reading, the archaeological evidence of continuity may not be as incompatible with literary accounts of destruction as may appear at first sight. In order to understand the culturally specific ways in which Romans made sense of the effects of 410, it is thus necessary to look more carefully at literary texts. Several papers admirably fulfil this task. In general, as Ralph Mathisen points out in his survey of the evidence, late-antique authors confirm the impression that Alaric's conquest was a 'genteel sack'. Also Neil McLynn, in a clever reading of our two most important sources for 410, problematises any catastrophist interpretation of the events. He provocatively argues that Jerome deliberately exaggerated the impact of the sack to obtain funding for his publication projects. Conversely, when Orosius sat down to write his Historia adversus paganos, his prime motivation was not to explain the meaning of the sack of 410, but to offer convincing arguments for the Roman-Gothic settlement of 417-418. Of course, this does not mean that the fall of Rome did not have far-reaching effects on the self-understandings of contemporaries. As Michele Salzman demonstrates in a carefully argued piece, the nervous anxiety about a pagan revival displayed by Christian authors after the sack belies any views that the traditional religion was clinically dead by the time Alaric set foot into the city of Rome - on the contrary, in the wake of 410, adherents of the old religion for a moment obtained the argumentative upper hand over their Christian contemporaries. A rich and subtle paper on Orosius by Mischa Meier confirms this assessment; inconcinnities in Orosius' history are not the product of lack in artistic skill, but reflect an attempt by the author to reconcile conflicting interpretations of this recent catastrophic event. Another index of the fears caused by 410 is uncovered in an excellent contribution by Bryan Ward-Perkins and Carlos Machado. They show that the sack led to a multi-year interruption in the production of honorific statuary. Whereas in Rome this commemorative practice was later taken up again, in other regions of Italy it ceased forever: 'the bubble of civic self-confidence, that had maintained the statue habit for centuries, was deflated by the disasters and humiliations of the years around 410.' 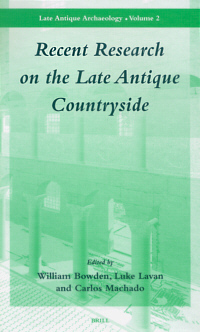 (356) Similarly, Silvia Orlandi's learned analysis of Roman epigraphy exposes the impact of the sack and its aftermath on Roman mentalité: later-fifth-century inscriptions dwell on the gap between a declining present and a recent glorious past in a way which is unparalleled in earlier Roman epigraphy. But the most striking proof of the impact of Alaric's actions is discussed by Roberto Meneghini. The men and women who died during the siege were buried not only within the sacred confines of the city (in itself an unprecedented act), but in its most important civic space, the Colosseum. There could hardly be more powerful evidence of the ways in which the events of 410 shattered the self-confidence of the inhabitants of the imperial city. A final group of papers discusses the long-term effects of 410. Through a detailed and useful prosopographical analysis, Carlos Machado shows that the sack narrowed the geographical horizons in which the leading families of the senate acted; in the fifth century, their field action encompassed no longer the entire Mediterranean World but the Italian peninsula. Michael Kulikowski looks at the effects of 410 on Roman-barbarian relations. He argues that the most important effect of the sack was Alaric's choice to fashion himself as Gothic rex and abandon any attempt to achieve legitimacy within the imperial system. This form of anti-colonial "mimicry" (as Kulikowski calls it in an unexpected - yet convincing - deployment of the post-colonial theory of Homi Babha) set the stage for later attempts by self-professed barbarian warlords to challenge the hegemonic power of the imperial state. Christine Delaplace looks at the settlement of the Goths in Aquitania in the aftermath of Alaric's death; she emphasizes the success of the Roman imperial government in domesticating the power of their former foes. Such minimalist interpretations are challenged by Peter Heather. He insists that 410 was an important moment in a the decline of imperial civilization - the dissolution of the brutally unequal political order which had been created by Roman imperial conquest, and which had shaped the distribution of power not only in the Mediterranean World, but also in central Europe for more than half a millennium. Walter Pohl is more equivocal about the ways in which the emergence of a post-imperial political order should be conceptualised. 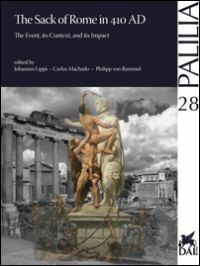 Without wishing to downplay the impact of the disintegration of the empire, Pohl insists on the heuristic use of the value-neutral term "transformation" to study the new forms of ethnic, religious and political self-expression developed in the Later Roman Empire and its successor states. This is a tremendously useful volume. Not only does it offer a state-of-the-art survey of archaeology of Rome in the age of Alaric. There are also larger interpretive payoffs. By directing our attention from the short-term physical effects of the sack (which were limited) to the longer-term cultural transformations initiated by it (which were profound), it offers a new perspective on the meaning of 410 as a historical event. Taken together, this volume marks an important advance in our understanding of the history of Rome in the early fifth century.